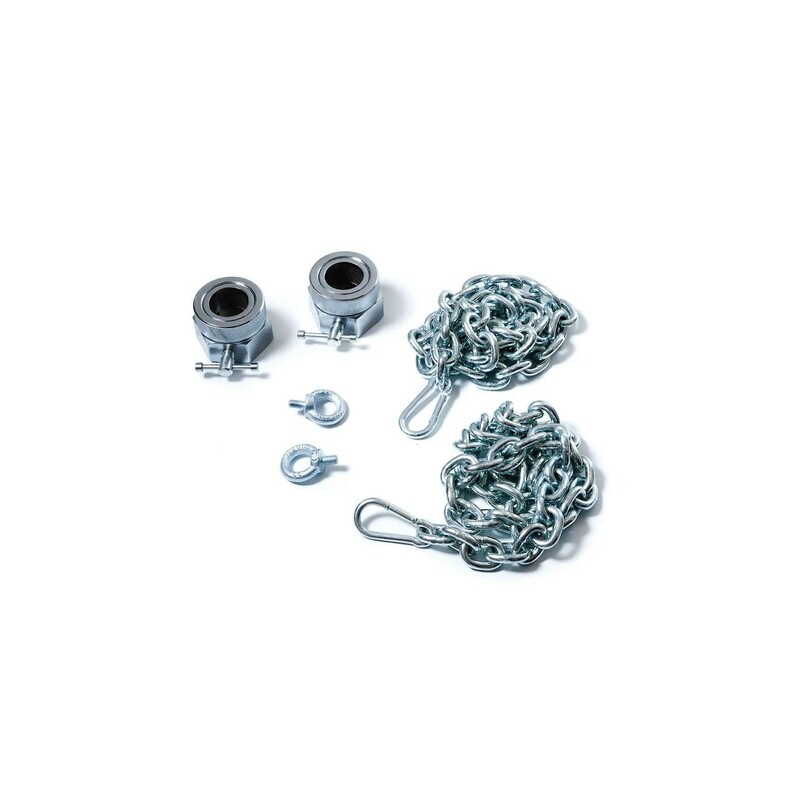 Either doing dips, push-ups, bench press or dumbbell training, the chain training with the Escape Fitness Power Chains creates a demanding training with maximum resistance. In contrast to common exercises without power chains, whereby the maximum training resistance is often only felt at the most outer point of load, the Power chains of Escape Fitness offer a constant maximum resistance. The progressive weight training, which multiplies the training variety, can be used for many classic fitness exercises, i.e., bench press, squats, dead lift, and chin-ups. The very sturdy steel chains can also be used as dumbbells. The delivery includes additionally two adaptors to fix the power chains on a barbell bar.